It probably comes as no surprise that keeping financial secrets can hurt your relationship. But is it enough to wreck a relationship? Would Americans go so far as to consider getting a divorce over lying about money or hiding debt? In a recent survey, GOBankingRates surveyed more than 500 adults across the U.S. to find out if they’d consider divorce if their partner kept financial secrets and hid debt from them. 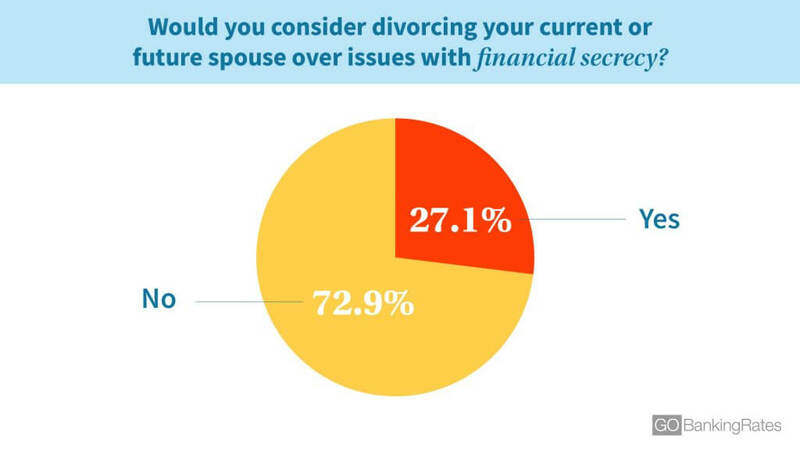 Twenty-seven percent of respondents said they would indeed divorce their spouse over issues with financial secrecy. And, if their spouse hid more than $15,000 worth of debt, they would consider divorce as well. We also asked respondents whether they’ve lied to their partners about money and if they know important details about their partners’ finances. If you want to keep your marriage happy, keep reading to see the biggest financial deal breakers in relationships. Americans would be willing to tolerate their partner hiding a relatively large amount of debt from them before considering divorce. Respondents said their partner would have to have hidden $15,050 in debt, on average, before they would consider divorce. Women and men seem to be in close agreement over the amount of hidden debt they would tolerate. The survey found that women said their partner would have to have hidden $15,490 from them, on average, before they considered divorce. Men said it would take $14,414, on average. Adults ages 25 to 34 are willing to tolerate the most hidden debt — $18,094, on average. And respondents ages 18 to 24 are willing to tolerate the least — $12,001, on average. Survey Question: How much debt will your partner have to have hidden from you before you consider getting a divorce? 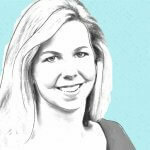 Keeping financial secrets is one of the money mistakes that can lead to divorce. However, the survey found that Americans are pretty forgiving when it comes to lying about money. Almost 73 percent of respondents said they would not consider divorcing their current or future spouse over issues with financial secrecy. However, 27 percent said they would consider divorce if the partner was keeping financial secrets. Women were slightly more likely than men to say they would consider divorce if there were issues with financial secrecy — almost 29 percent versus almost 25 percent. And younger adults were much more likely than older adults to see financial secrets as grounds for a divorce. Nearly 49 percent of adults ages 25 to 34 and nearly 34 percent of adults ages 35 to 44 said they would consider divorcing their spouse over issues with financial secrecy compared with about 23 percent of respondents in older age groups. Survey Question: Would you consider divorcing your current or future spouse over issues with financial secrecy? It’s important to be transparent about finances to maintain a healthy relationship. But some people do keep money secrets from their significant other. They might lie about their spending habits or how much debt they have. They might hide a low credit score, gambling habits, bankruptcy or any negative financial information. Financial secrecy also can include avoiding sharing details about income, investments or savings. It’s making money moves without telling your significant other. Keeping any money matters under wraps can hurt a relationship. In fact, a separate GOBankingRates’ survey found that being secretive about finances is the biggest relationship deal breaker. 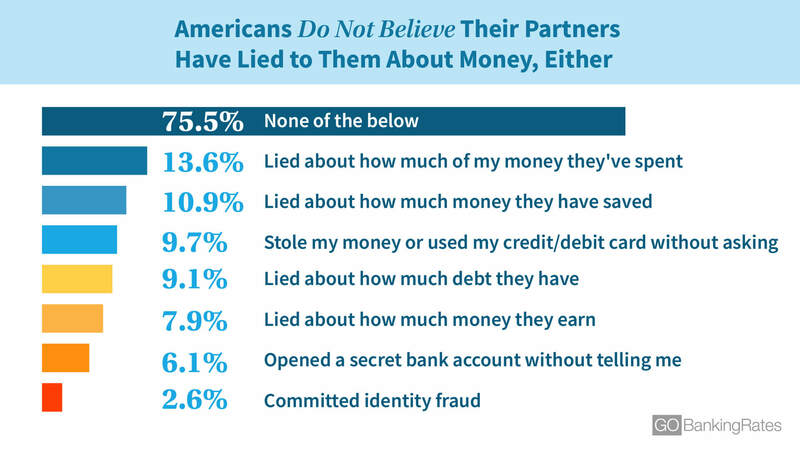 Most Americans claim to be honest with their partners about money matters. The survey found that 78 percent of respondents said they have not lied to either their current or ex-partner about their finances. Among the 22 percent who have lied, the most common thing they don’t come clean with their partner about is their spending habits. About 10 percent of respondents said they’ve lied about this. It’s not surprising that people don’t want to admit how much they spend because another GOBankingRates survey found that one of the biggest financial deal breakers in relationships is overspending. The second most common thing Americans have lied to their partners about — with just over 8 percent choosing this response — is their debt. Having too much debt can actually be a turnoff, according to the same GOBankingRates survey. Among the other things, the survey found that Americans have lied to their partners about is their salary, savings, investments, credit score and gambling habits. Although the majority of both men and women said they haven’t lied to their partner about money, men are more likely to be honest. The survey found that 80 percent of men said they haven’t lied compared with almost 77 percent of women. Women are actually much more likely to have lied about their spending habits than men are. The survey found that 13 percent of women haven’t told the truth to their partner about their spending compared with almost 6 percent of men. Women also are more likely to lie about their debt. However, a higher percentage of men than women have lied about their credit score. Not only do most Americans say that they don’t lie to their partners about money, but they also believe that their partners don’t lie to them. The survey found that about 76 percent of respondents believe that their current or ex-partner has never told money lies to them or kept financial secrets. 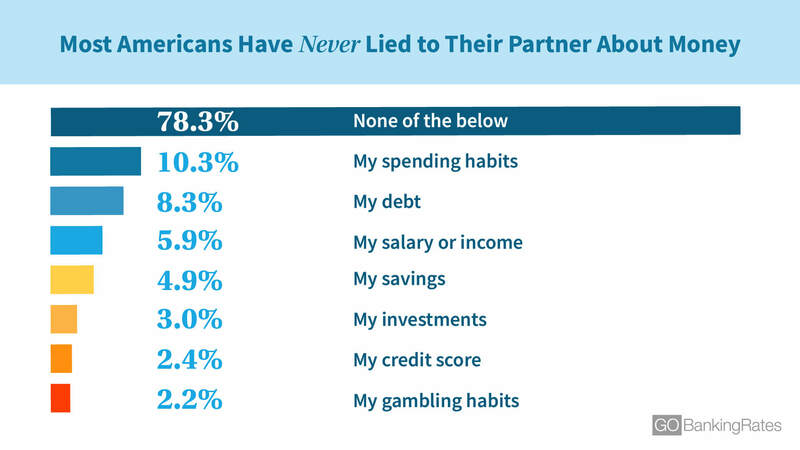 Another nearly 11 percent said their partner has lied about how much money they’ve saved. Almost 10 percent said their partner has stolen money from them or used their credit or debit card without asking. If you suspect financial infidelity, there are several signs your significant other is lying about money. These secrets include secret bank accounts, purchases made with your debit or credit card without your permission and changes made to your account passwords. The survey found that women are more likely than men to say their partner has lied to them about money. About 28 percent of women said their current or ex-partner hasn’t been honest about their finances compared with about 19 percent of men. The top lie women said they’ve been told is about how much of their money their partner has spent, with 16 percent of respondents choosing this response. On the other hand, only 10 percent of men said their partner has lied about how much of their money they have spent. The second most common lie women said they’ve been told is about how much money their partner has saved. However, the second most common lie men said they’ve been told by a partner is about how much debt they have. The GOBankingRates’ survey found that a majority of Americans said they know basic information about their partner’s finances. But that doesn’t mean they know everything. In fact, their partners could be keeping financial secrets from them. There are several telltale signs that one partner might be hiding things from the other. For example, if your partner insists on keeping separate bank accounts and doesn’t want to share any financial details, it could be a red flag. Letters from collection agencies could be a sign that your partner is deep in debt and can’t keep up with payments. Or if financial statements stop showing up, it could signal that your spouse has opted to receive them electronically to keep you in the dark. Changes in spending habits could mean your spouse isn’t being open about his or her financial situation. Lots of new purchases could mean your spouse is relying on credit to fuel spending sprees — or spending money you’ve set aside for other goals. On the flip side, a sudden reluctance to spend might indicate that their are financial woes your spouse might be hiding. Don’t ignore any bad money habits your significant other has because they could be a sign that there are more serious issues. Keeping financial secrets can sabotage a relationship and lead to a costly divorce. That’s why it is important for couples to talk openly about their finances. For starters, you should discuss your values to agree on what you want most in life. Then you can review your spending every month to see if it aligns with your values. You might find that one or both of you is spending money on things that don’t really matter to you as a couple. Once you’ve figured out your values and where your money is going, then you can set goals so your money can go toward what is important to you. By regularly reviewing your finances together, it will help prevent financial secrecy. To give each of you some autonomy, though, you can agree to have a certain amount each of you can spend each month with no questions asked. Working some “fun money” into the budget might help prevent the urge to keep financial secrets. If you do think your spouse is lying about money, don’t ignore your suspicions. You need to address your concerns with your spouse. If you’re guilty of keeping secrets, you need to come clean. If necessary, reach out to a counselor for help facilitating this conversation. Click to read more about the financial questions to ask before walking down the aisle. Methodology: GOBankingRates asked 506 respondents the following questions: 1) Have you ever lied to your current or ex-partner about any of the following? (Select all that apply) 2) Do you believe your partner is good at managing their money/finances? 3) Do you know the following information about your current partner? (Select all that apply) 4) How much debt will your partner have to have hidden from you before you consider getting a divorce? 5) Has your current or ex-partner ever done any of the following to you while you were in a relationship with them? (Select all that apply) 6) Would you consider divorcing your current or future spouse over issues with financial secrecy? The survey was conducted by Survata from Dec. 20, 2018, to Dec. 27, 2018. Some figures have been rounded to the nearest whole number. This bride knew the value of a dollar.